As we celebrate 20 years of our practice, we are reflecting on our time spent in the beautiful community of Aliso Viejo. We asked one of our Physician Assistants, Kristina Preston, to explain what South Coast Medical Group means to Aliso Viejo. Being the first family practice in our community, our patients recognize the experience we have with not only medicine but being an integral part of our southern Orange County city. Because of the care that each of our team members provides, we turn Urgent Care into Family Care. We have many people that began coming to us for a minor issue in Urgent Care that has now grown into long term patients. The health of our patients doesn’t revolve around a 9-5 window on the weekdays. That’s why we are available every day of the week. There is a reason that South Coast Medical Group has thrived over the past 20 years in Aliso Viejo, and it is because of our wonderful patients. Being able to work side by side with patients to create and achieve health goals is what makes our jobs so rewarding. Whether it is new patients or families that have been with us since the beginning, we are grateful to continue our loyal relationship with the cities of Aliso Viejo, Mission Viejo, Laguna Niguel, Laguna Hills, and Laguna Beach. We look forward to the next 20 years of taking care of patients in this community. 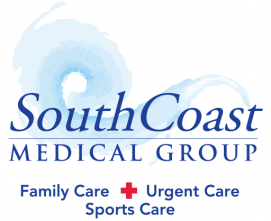 Learn more about South Coast Medical Group here.